Magnetic stand for wireless keyboard black	90,00 ден. Magnetic stand for wireless keyboard white	90,00 ден. Keypad, USB, retractable cable, 19 keys	194,00 ден. GEMBIRD KPD-1 19-KEY USB KEYPAD	199,00 ден. Тастатура Winstar USB, WS-KB-6106, црна	210,00 ден. 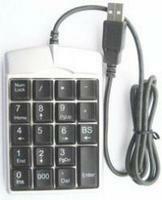 Keypad, USB, additional backspace key, 19 keys	211,00 ден. DJ440A Bitrom Standard Keyboard	219,00 ден.